Whether you’ve decided to purchase a DSLR camera, such as the Nikon D3200 DSLR to improve the quality of the photos you take or are planning a vacation and want every picture to be frame perfect, it is important to think about cost and budgeting. Here, we frame out how to best use your hard-earned cash to purchase a luxury camera like the Nikon D3200 DSLR, which features 24 megapixels and video capability. On average, the Nikon D3200 DSLR camera, which was released in April 2012, will run you between $449.44 at Abe’s of Maine, which is currently offering a deal on the camera to about $499.99 at Best Buy and Sears, but you may want to hold off on your purchase. In many cases, cameras go on sale on the biggest sale days of the year, including Black Friday and Cyber Monday, where cameras such as the Nikon D3200 are sold in bundle packs that include not only the camera, but extra lenses, tripod, memory card and LCD screen protectors for the same price that the camera is offered every other day of the year. For example, on Thanksgiving Day in 2013, Best Buy offered the Nikon D3200 for $499.99 and threw in a free camera bag and a 16 GB memory card. The package also included a second 55-200 mm lens. Knowing you are going to spend around $500 for a luxury camera, whether you hold out for the sale or not and possibly more if you opt to purchase, extra lenses, case memory cards or spare battery, you should budget accordingly. The best place to start is to decide if you will be paying cash or plan to finance your camera. If you opt to finance, you should know that most financing plans with companies, including Best Buy and Abe’s of Maine, offer 6 months of interest free payments. That means you will need to pay at least $84 a month toward your new camera or $21 a week to ensure that you won’t pay a cent of interest. If financing is not an option, you may want to set aside a certain amount of cash each week, depending on your finances. You could for example, set aside $10 a week for 50 weeks or $20 for 25 weeks. If you are looking for some extra cash put toward a Nikon D3200, one simple thing to do is to skip take-out for both lunch and dinner. By packing a lunch for work, you could potentially save up to $50 a week, if you are spending $10 a day at a local deli. The New York Times Dining & Wine section even offers some great ideas to bag a lunch. And if you are like most Americans, and call for delivery once a week, you could save at least another $80 a month. At that rate, you could buy a Nikon D2300 in just less than three months. 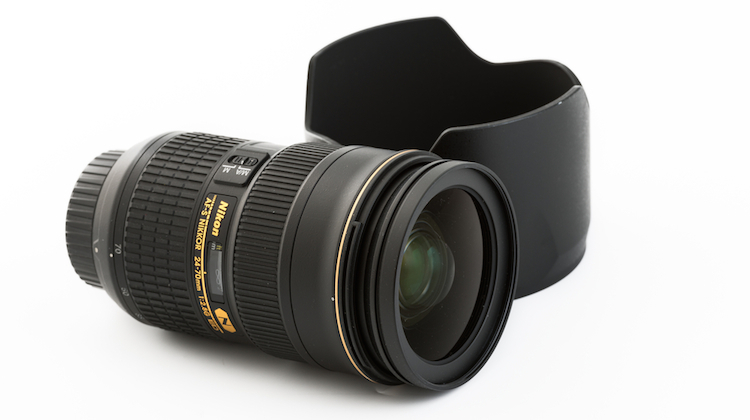 Nikon lens and cap image courtesy of Shutterstock.